From the 22nd-24th May, our London showroom will once again be part of Clerkenwell Design Week, the UK’s leading independent design festival. 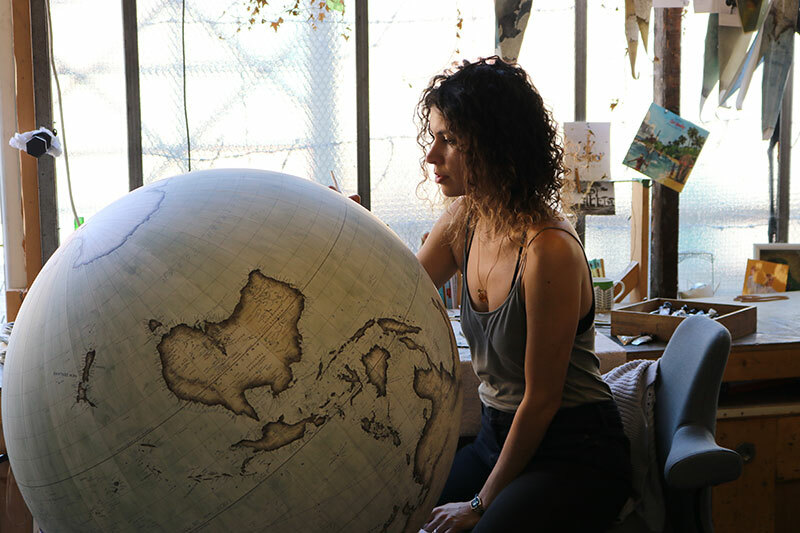 This year we host world renowned globe makers Bellerby & Co, creating an intimate studio where they will paint one of the world’s largest handmade globes throughout the week. One of only two handmade globe making companies in the world, Bellerby & Co founder Peter Bellerby and a small team of artists will relocate to HÅG’s showroom on Central Street for the duration of the festival, offering a unique insight into the skilled and delicate work that goes into creating their awe inspiring work. The installation will feature the painting a 127cm ‘Churchill’ globe, the largest sized globe the company makes, with Peter Bellerby present to discuss with visitors the finer points of the craft, and the challenges faced when creating such intricate and bespoke pieces of art. Bellerby & Co’s relationship with HÅG came from the demanding qualities required for their workers. A robust, versatile seating solution that allowed their artists to carry out their work without putting any undue stress on their team. For over a year now, the entire team have been seated on HÅG Capisco chairs. Watch out for a couple of videos we made with Bellerby & Co next month, as well as a great competition! 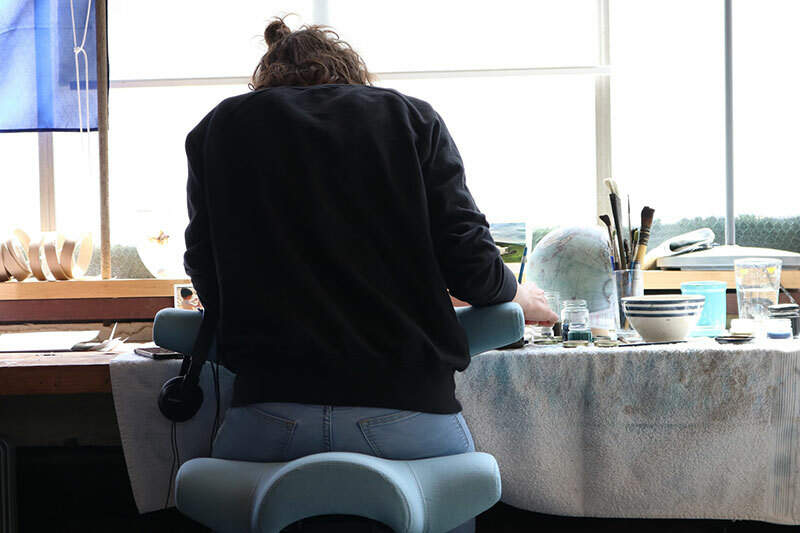 Alongside Bellerby & Co’s live globe making activity during CDW, Flokk has teamed up with Wellworking to host a seminar titled “Designed for Wellbeing”. Space is limited so click here to sign up now for free. On Thursday we will also be throwing a big party, celebrating the end of the week, and also our first year anniversary as Flokk! For more information about all of this year’s events, including how to put yourself on the guest list for the part, click the link above!